SoftEgg Enterprises - "With SoftEgg, your project is Over-Easy"
SoftEgg believes that fun is more than just games. With every product we release, we try to do something new and different. - Now available for Nintendo DSi in the DSiWare store, Rhythm Core Alpha turns your game system into a musical instrument. Create your own drum patterns, basslines, and melodies, and then solo along with them using the stylus. It includes powerful editing features and a wide variety of wild sounds. The touch-screen and stylus make it easy to create music quickly. Rhythm Core Alpha was designed for the creation of live music in front of an audience. - This was the first official product for SoftEgg. Having worked on all aspects of this game when it was still being produced under the auspices of Adventions, SoftEgg took over the product when Adventions was disolved. Alas, the cascading bankruptcies of our licensors prevented the game from ever being officially released. The rights have now reverted to Gainax and NineLives, so please stop asking us for copies of the game! - The Gameboy Advance is a great little platform, and we had designs on programming it for a while. There is a wonderful hacker scene writing all sorts of stuff for the GBA, but most of the graphic tools we found out there were for making bitmap images. JACK is a traditional tile and sprite ripping program. We had plans to eventually give it a full project structure, but canceled the GBA project before we got that far. - SoftEgg was called upon by High Impact Games to help put the finishing touches on the first Ratchet and Clank game for the Playstation Portable (PSP). They were so satisfied with our work that the contract was extended twice! - SoftEgg was hired to help Climax Group with early programming work on the Playstation Portable (PSP) version of Konami's popular Silent Hill game franchise. They were so satisfied with our work that the contract was extended to double it's original length when they switched to the Renderware game engine. 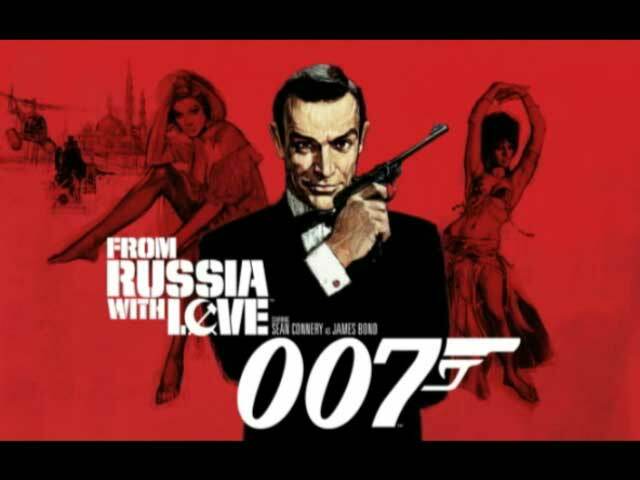 - Electronic Arts called upon SoftEgg to help them meet their schedule on this videogame remake of the famous Sean Connery movie. SoftEgg's Tim Trzepacz helped them to bring this multi-platform, Renderware-based game to market for Christmas 2005! Read the producer's testimonial! 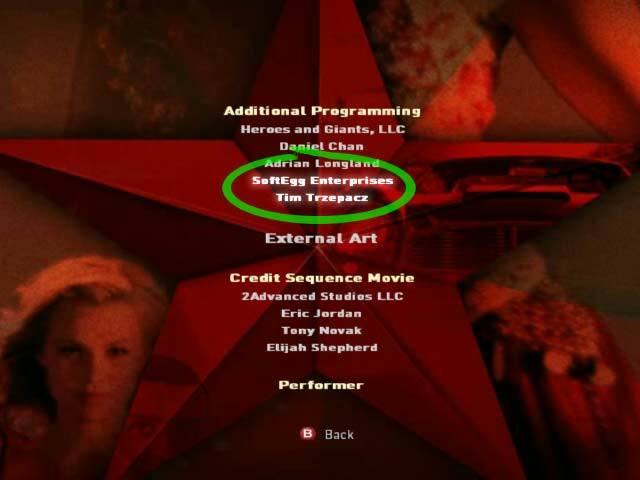 - Tim Trzepacz worked on these games while employed for Insomniac Games. Each game sold over three million copies world-wide. Ratchet and Clank 1 was packed-in with the Playstation 2 in Japan, which is unheard of for a US produced game! - These localizations of Japanese videogames for Sega Saturn and Sony Playstation One were coded by Tim Trzepacz for Working Designs. What ever happened to them? - Another Working Designs program by Tim Trzepacz. This internal tool was never released to the public, but it allowed the user to browse a binary file as an image in hopes of finding and extracting embedded graphics. The program is very full-featured, allowing the user to examine the file at any bit depth or tile size. It can use paletted images, planar images, RGB images, etc. Buy Titles from our Back Catalog! Alas, the videogame industry isn't like the movies... you don't get royalties on your old work. But if you buy them from amazon.com using these referral links, we do get a little bit of something. Wouldn't that be nice after all those years of hard work? Help support us! All images copyright their respective rights holders, which may include Gainax, NineLives, SoftEgg, Insomniac Games, Sony Computer Entertainment, Working Designs, Sega Enterprises, Systemsoft, Sunsoft, CLAMP, GameArts, Konami, Climax Group, High Impact Games, or possibly others. All Rights are probably Reserved.